Deadline: April 26, 2018. 11:59 PM EST. FLEX Alumni Bringing Ideas, Leadership, and Initiative To Youth. 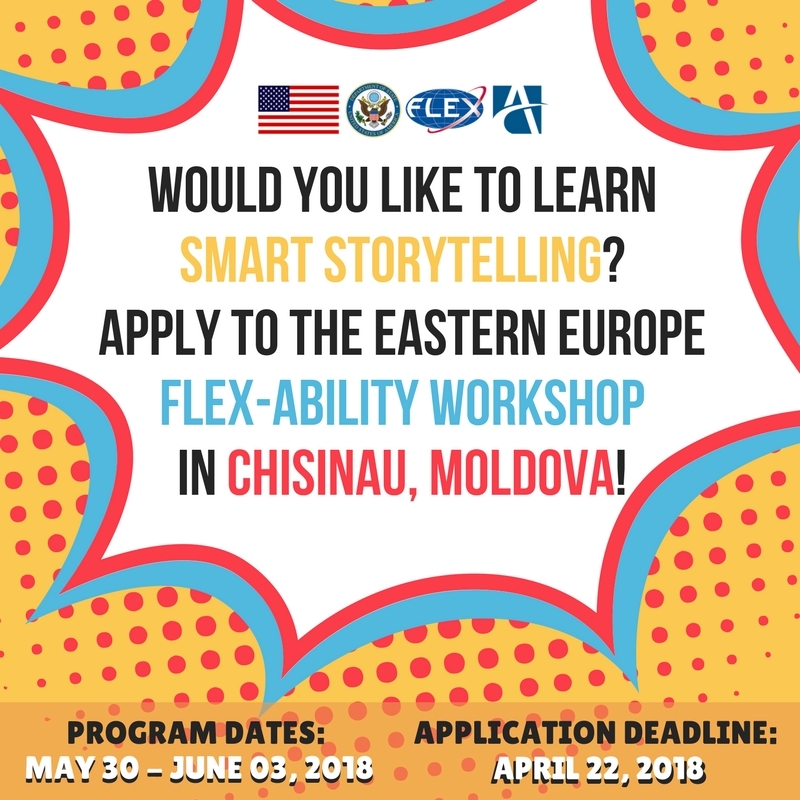 American Councils proposes bringing 45 FLEX alumni from Moldova, Romania, Poland, Russia, and Ukraine to Chisinau, Moldova on May 30 – June 3, 2018, to participate in a workshop focused on Smart Storytelling, using modern tools of storytelling to craft, produce, and share stories, creating future-ready alumni storytellers. Working together with a team of American Councils staff, U.S.-based trainers, and alumni mentors, participating alumni will to learn about latest trends in storytelling and will learn how to use various tools to effectively tell their stories using audio-visual and social media as the accelerating tool in publishing and spreading content. 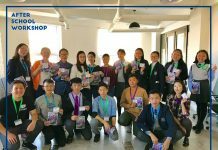 The workshop will help the participants understand when and how to use storytelling techniques and in what ways creative practices can foster communication between people as well as educate, celebrate, and share perspectives with a wide audience. Additionally, participants will learn about project design and management and use their training to put together short digital stories on a topic of their choice. 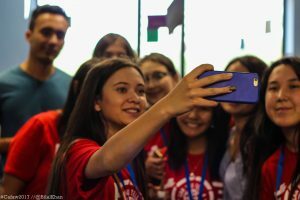 The alumni will go back to their home countries with the capacity to not only produce and share impactful digital stories using latest technology, such as 360 degree videos, virtual reality, and augmented reality, but also to successfully ideate on, plan, and successfully manage a project from start to finish, using traditional methods of storytelling as well. 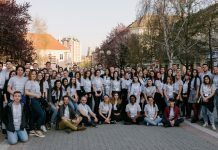 The FLEX program is celebrating the 25th anniversary and the most authentic way to record the success and impact is with and by the participants themselves. With this workshop, the alumni participants will gain technical and theory-based knowledge regarding video production, storytelling, and how to best use the two together on social media. 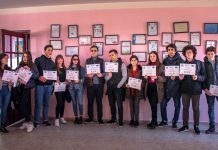 Approximately 5 to 15 FLEX alumni from each country will be selected by a panel evaluator of American Councils and/or FLEX Alumni program staff based on the submitted application and proposed project ideas. 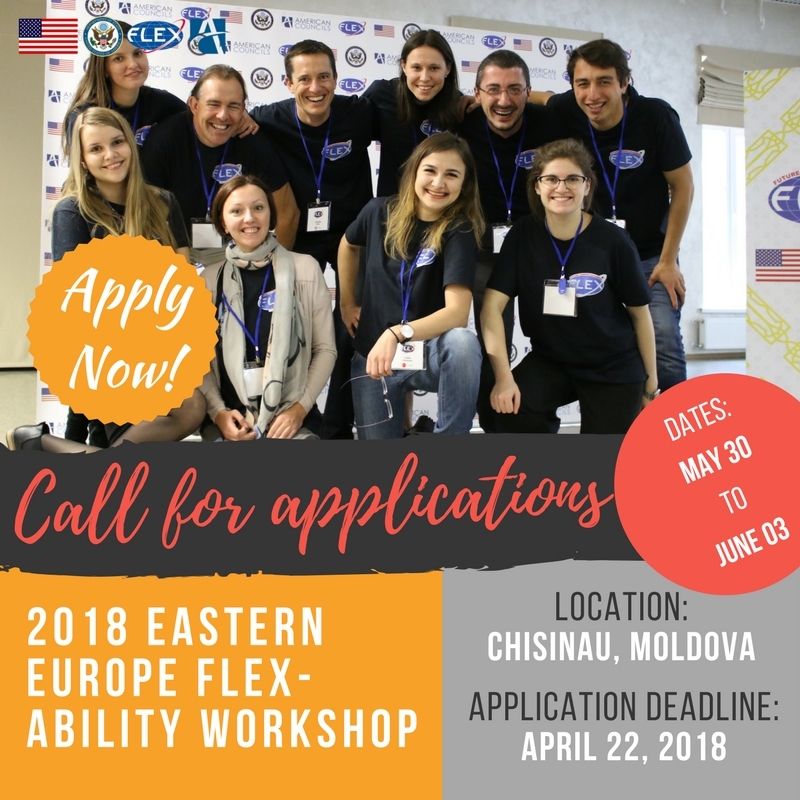 Eligibility criteria: FLEX Alumni of all years from Moldova, Poland, Romania. Russia and Ukraine may apply. Preference will be given to those alumni whose applications highlight a need for the training and a desire to utilize a storytelling approach in addressing needs identified in their communities. Active FLEX alumni and City Representatives will be given preference. Preference will also be given to those alumni who have not previously attended a FLEX Ability Workshop. 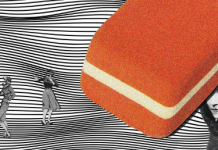 Participation in the Eastern Europe FLEX-Ability Conference is free for the selected participants. All costs including round-trip transportation and room and board will be covered by funding through the FLEX Alumni program. Interested applicants must complete and submit the online application with all accompanying materials and a picture for the conference handbook April 26, 2018, 11:59 PM EST. Late submissions will not be accepted! 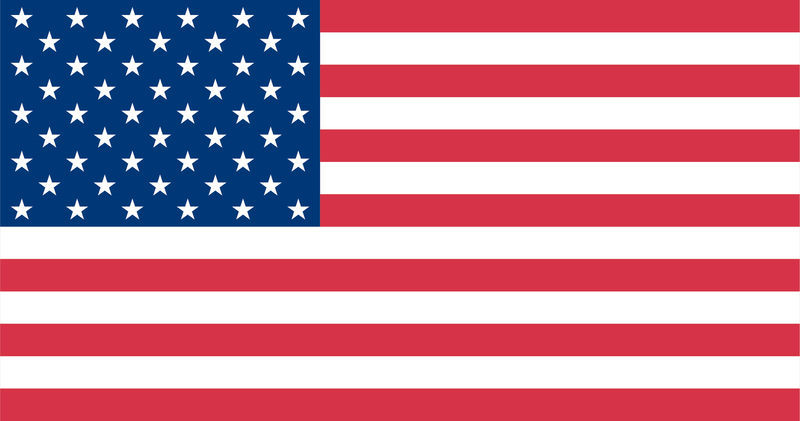 For questions, write to BKhan@americancouncils.org. Thank you!